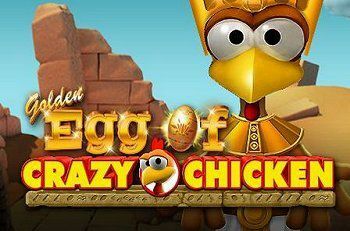 Play the Golden Egg Crazy Chicken video slot from Gamomat in online casino with 5 reels and up to 10 selectable paylines. Follow the Crazy Chicken to egypt! There the mighty pharao awaits you, to use the magical power of the golden egg to upgrade symbols and award you with additional free games. The “Pharaoh” is Expanding Wild and expands on the reel. The “Golden Egg” is the Scatter. 12 free games are triggered by 3/4/5 Scatters. 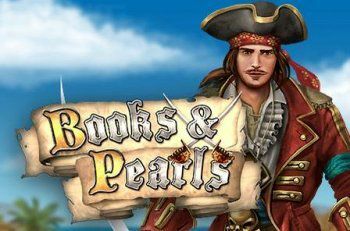 During free games feature it is possible to trigger additional free games. “Pharaoh” upgrades symbols. Each visible “Pharaoh” during free games, updates the actual lowest high value symbol to the next higher one by replacing the symbols on the reel with the higher symbol. 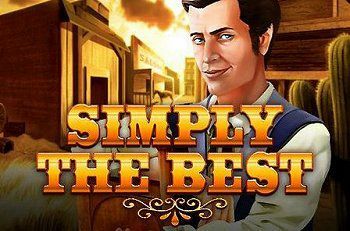 Back to the Wild West with the Simply the Best slot from Gamomat. Cards on the table! 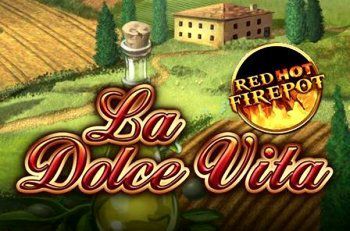 In this game with saloon feeling, the top win is waiting for you in the safe. Simply the Best has 5 reels and 5 paylines. Spin the game with the play button or the spacebar on your desktop. There is a card and a ladder gamble possible for each win. Gambling is not possible for high wins or in autoplay mode. 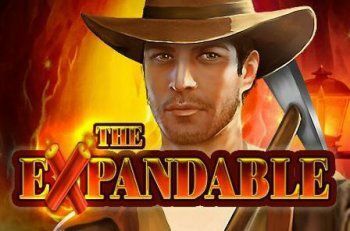 The Expandable slot is a new casino game where you have to blow entrances with Dynamite to find GOLD. As a “Gold Miner” working deep in the mines, you will be blasting your way through the winnings with “Dynamite”. Play Expandable with 5 reels and 10 paylines. Multiple symbols Wild on one line count as top combination “Gold Miner” if this is the highest win on this line. Play Aura of Jupiter Crazy Chicken Shooter slot from Gamomat and meet Jupiter with his divine power. 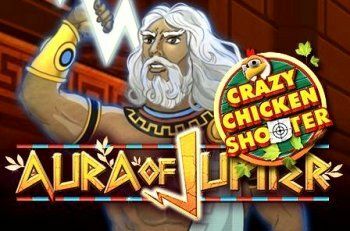 The Aura of Jupiter Crazy Chicken Shooter has 5 reels and up to 10 selectable paylines. This slotmachine has an additional jackpot side game. Jupiter is an expanding wild symbol. 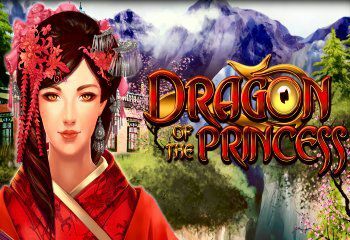 The “Throne” is the Scatter, that gives access to the bonus game with many free spins. Each visible “Jupiter” during free games, updates the actual lowest high value symbol to the next higher one by replacing the symbols on the reel with the higher symbol. With an additional bet, the Crazy Chicken Shooter side game is activated, which can trigger an additional side game with every spin. Meet santa at the Maaax Diamonds Christmas slot from gamomat. 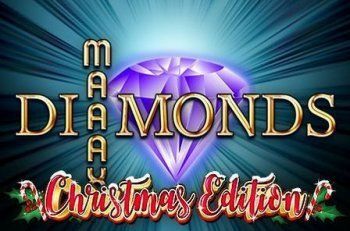 Play Maaax Diamonds Christmas with 5 reels and up to 10 paylines. You like fast fruit games but you don’t want to miss the action of a feature? Then this game is the right choice for you! Expanding Diamonds brings you an extra portion of luck! The “Diamond” is Wild (expanding) and substitutes for all symbols. This diamond only appears on reel 2/3/4. 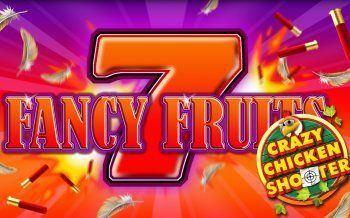 The Fancy Fruits Crazy Chicken Shooter slot from Gamomat has an additional jackpot side game. Play Fancy Fruits Crazy Chicken Shooter with 5 reels and 5 winning lines. With an additional bet, the Crazy Chicken Shooter side game is activated, which can trigger an additional side game with every spin, so a locked chicken coop appears. If all three locks are released from the chicken coop, the Crazy Chickens escape and the playout begins. The collected rounds on the reels determine the win level and the number of rounds during this bonus game. When playing on the second additional bet level, all X symbols on the second reel become MYSTERY X symbols which can yield up to 4 additional rounds. 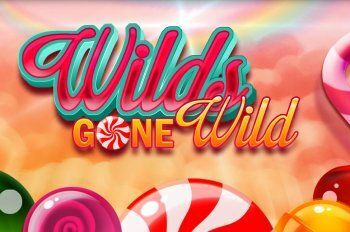 If you like candy, the Wilds gone Wild slot is just the game for you. Play Wilds gone Wild with 5 reels and up to 10 selectable paylines. This slotmachine has sweets that spread over the whole reel with a catchy tune, this game has everything your heart desires. The “Lollipop” is Wild and substitutes for all symbols. The Lollipop is also an Expanding Wild and expands on the reel. Welcome to the land of milk and honey!